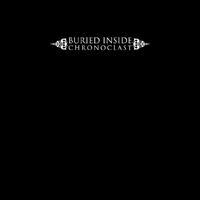 Buried Inside's third full-length album once again available on vinyl after a long period of being out of print. This limited edition repress comes on heavywight 180 gram vinyl and packaged with all new artwork and letterpress printed jackets. First Init Records pressing (January 2010): 800 copies on black, 200 copies on burgundy/white swirl. Entire pressing on 180gram vinyl with letter press jackets. 28 copies with hand-numbered limited edition "final show" covers with cover logo screen printed in bronze ink on plain black LP jackets.